So though who expected another Torrington blowout at Litchfield: It didn’t happen. Cowboy Evan Fischtal (game-high 19 points) poured in eight points; Tripp Melk (15 points) had a pair of 3s; and sophomore forward Zajans Crapo seemed to own every rebound. 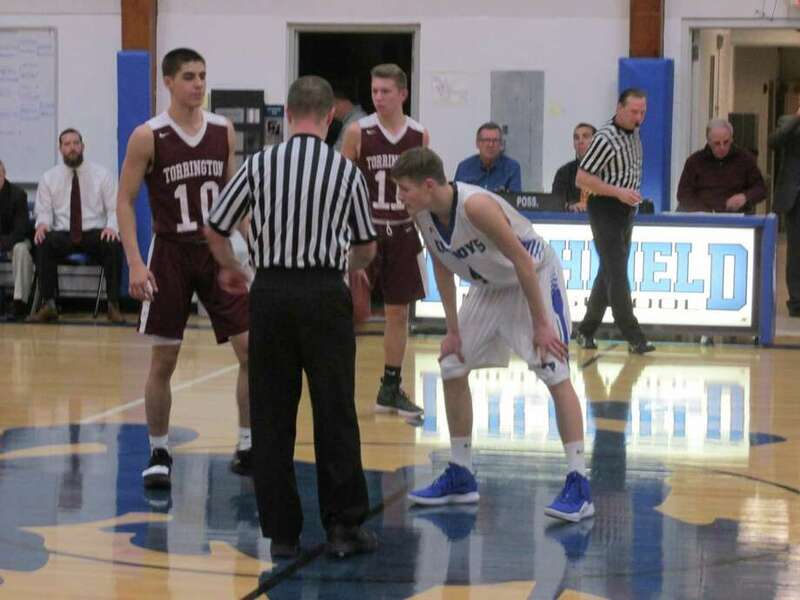 Finding their offensive stride, Torrington’s Joel Villanueva scored all 12 of his points in the second half; Tyreek Davis (team-high 14 points) kept his stream going with eight and T.J. Clabrese battled for six of his eight points in the final period. The Cowboys stayed close with three of their eight 3s for the game in the third period and three more in the fourth. Tyreek Davis 6-2-14; Joel Villanueva 4-4-12; T.J. Calabrese 3-2-8; C.J. Root 4-0-10; Matt Rylander 1-0-2; Zach McLaughlin 3-0-7; Ben Smith 1-0-2; Nick Balducci 3-0-8; Totals: 25-8-63. Luke Parsons 1-0-3; Tom Brady 1-0-3; Tripp Milk 4-4-15; Jared Guilmart 3-0-7; Matt Rousseau 1-0-3; Ajani Campbell 0-1-1; Evan Fischtal 7-4-19; Totals: 17-9-51. 3-point goals: T – Root 2; McLaughlin; Balducci 2. L – Parsons; Brady; Melk 3; Guilmart; Rouseau; Fischtal.